Fabulous, fast, hot, shifter romance that didn’t let me go until the last page! I wanted to such more! Not because this book isn’t full of flirt, hotness, and suspense but because I’m selfish and I didn’t want the book to end! 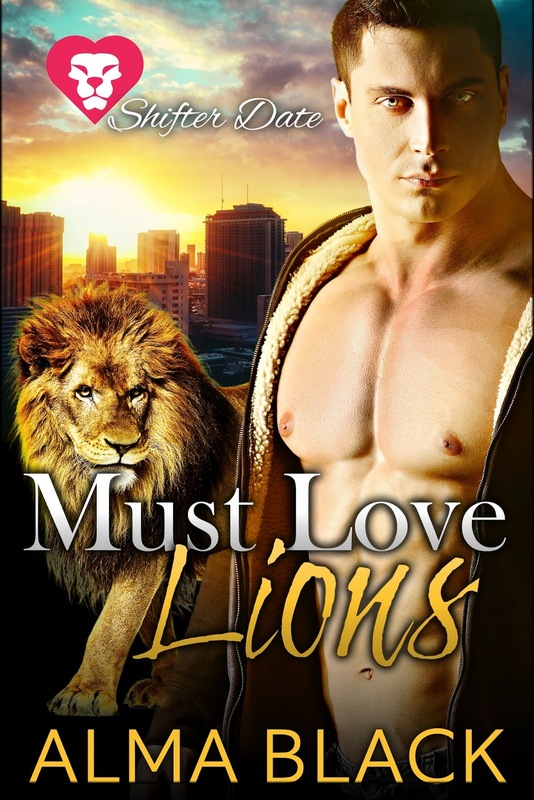 The taboo of shifter/human relationships run strong on both sides, but Alex a prince among his lion shifters is about to break down those barriers with a roar! When Alex walked into Max’s office for an interview, for him, it was lust at first sight. As time went on, he knew his life without her would be meaning less. He just had to convince Alexis to let down her walls and show the feelings were mutual. This book was so much fun! It made me blush, gasp, awww, and fall in love with the characters as they were falling for each other. Great read! I’d been seeking out Chris as much as I could lately, even though he was worried about my lack of sleep. My feelings for him had become like weeds, growing faster than I could contain them. I should’ve been protecting my heart instead of trying to hand it over so it could be crushed later. So tonight, instead of pushing him to talk about whatever was making him hurt, I let him have what he wanted: an escape. I could be that. I was exactly that every night I worked in the club. I was my customers’ escape from life, from the wives who ignored them, or from the girlfriends who didn’t exist. I smiled and batted my eyelashes and pretended their lewd comments were funny. Tonight I could easily be whatever Chris needed, and if that was naked and a distraction from the things outside of his control, so be it. Or that’s what I told myself as I pushed his boxers over his hips. My clothing took a little longer to remove since I was fully dressed. Chris wasn’t as slow as usual, or gentle. There was an urgency in him I’d never experienced before. What he wouldn’t give me in words, he gave me in actions. Desperation leaked through, making him frantic as he pulled my shirt over my head and fought with the clasp on my bra. I brushed him away, taking care of the bra for him. Sitting on the edge of the bed, I opened my legs and welcomed him between them. He locked shaking fingers around the waistband of my jeans and paused, his expression clouding. “With you wanting me?” I popped the button.